A cloaked figure slowly maneuvered his way through the dense forest surrounding the mini castle several yards out. Once the castle came into sight, the cloaked figure sliped behind a tree in case there was a guard positioned at the outskirts of the forest. Placing his back onto the tree, Nagato would slip his hood backwards revealing his vibrant Uzumaki red hair and his purple Rinnengan. Simply standing there and waiting, all of a sudden, phasing out of the ground in front of him was a massive venus fly trap. Stopping right as Zetsu's torso was out of the ground, revealing the Akatsuki cloak, the trap would open allowing the two Zetsus to see Nagato. Having already discussed the plan before they parted for the mission Nagato would ask just incase. "Do you remember your roles?" "Of course we do." White Zetsu answered as the two of them began splitting from each other. "You did not have to come along Nagato." Black Zetsu would say "We can handle this on our own." The two of them finally split from each other as White answered back to his other half "I think I mite mess up on purpose just to see Nagato in action." Chuckling at his own words, Black would snap back "Shut up! Take this seriously." "You two dont have to worry. I only tagged along as back up, but I doubt I'll be needed." Looking over to Black, Nagato would not as he sunk back into the ground. Several seconds later he came back out of the ground in the exact same spot. "The crowd is outside waiting. Can't see anyone else. Theres a barrier around the inside of the castle that I cant see or get past." Nagato nodded and said "They're in there, still making preparations." Crossing his arms he continued "Get into position. You two will be making all the decisions from here on out." White Zetsu chuckled revealing his fangs as he said while sinking into the ground "This is gonna be fun." As Black sunk into the ground after his other half Nagato said "Keep out of sight. Let me know when things get out of hand." "Understood." Nagato crossed his arms and leaned back against the tree and waited. The doors to the castle that the Daimyo was in opened up revealing the General standing there. All the Samurai's began running out around him and moving into their positions. 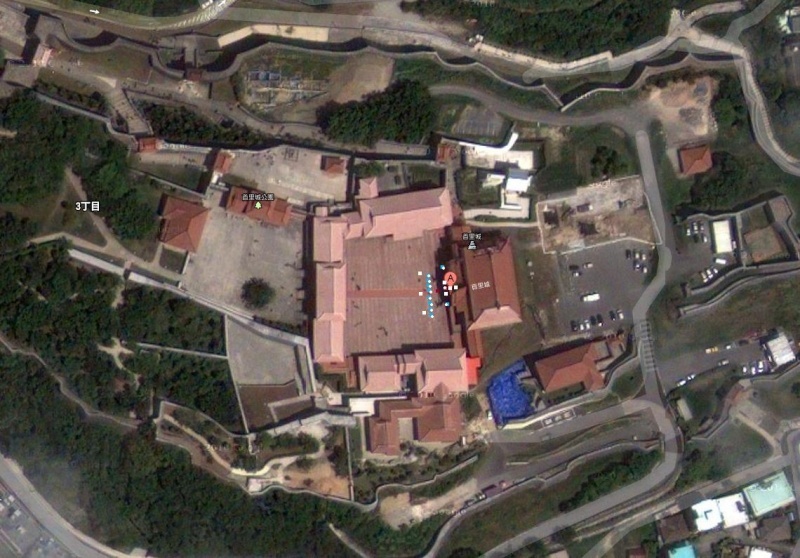 All the guards that were ordered to go outside and the two who stayed at the West side moved towards the huge doors. Meanwhile the General stood on the stage with his other 9 guards. Seven of Kakashi's Ninken Dogs jumped out and got into position as they were ordered to, while Kakashi jumped ontop of the roof that over looked the entire castle. "Open the Gates and direct them into position!" the General ordered, and without hesitation the guards opened the gates. Tons of people were waiting outside to get in for the Daimyo's speech. One by one the guards let people in and directed them into the court yard where they were placed in between the 7 dogs, forming 6 rectangles properly organized. Once the court yard had enough people, the guards stopped letting people in and thanked them for coming, but they had to leave. The 11 guards that guarded the perimeter of the castle moved out and the two guarding the West wall closed the doors. While the civilians were being put into place, two people from the stadium sneaked into the crowd and took their place as a civilian. Kakashi watched from above with his arms crossed as the civilians mingled a bit. So far, everything was in position. The guards were all where that had to be, and the Dogs were in position as well. Ears ready to pick up any strange sound and noses sniffing the air constantly, they were on high alert for anything out of the ordinary. "Only a matter of time before we start" Kakashi said to himself hoping all would go well. Pakkun, being on the shoulder of the third guard to the left of where the Daimyo would give his speech, was also sniffing the air. "With Kakashi bringing out all eight of us, no one should be getting by us" Pakkun said in a low voice. "So why were you the one assigned for this mission?" he asked, feeling a little curious. (The black lines represent the spaces in between each part of the crowd. The green dots are the 7 dogs, and forgot to put Kakashi on the roof). Dressed as a samurai with 2 fat pouches on the back of her belt and Pakkun on her shoulder, Ino walked out onto the stage and took her place. She watched as the other guards filtered in the crowd of civilians, and then the little canine on shoulder asked why she had been picked. "They requested a pair instead of the usual 4-man cells for this mission. Naruto and Sakura are out on another mission, so Lady Tsunade assigned me to this one because I'm a medic ninja and my Yamanaka clan's techniques can come in handy, too. This is the first time I'm working with Kakashi-sempai, and I can already tell he's almost as smart as Shikamaru! The Daimyo's got nothing to worry about." Ino replied. Forming in the shadow in one of the corners created by two intersecting walls, a yellow circle would open revealing black Zetsu's eye. Hidden from sight, he watched as the samurai guards got into place, a ninja jumped onto the roof and several dogs got into a systematic position in the courtyard. "Only one shinobi?" He questioned. "The others must be hiding somewhere in the crowd or among the samurai." His eye slowly closed fading away as he though to himself "I'll keep a closer eye on you." Seconds later his eye re-appeared behind Kakashi. Looking right up at him, Kakashi would never notice a tiny gold eye on the floor behind him as he was focused on the courtyard bellow. Meanwhile bellow the surface, white Zetsu was making all of the preparations. Creating a total of 7 clones, thus 8 white Zetsus including the original, they would communicate via telepathy to direct each other. All of them moving underground undetected, Zetsu and three of his clones would move directly under the podium. The other 3 Zetsus would place themselves in-between the podium and the crowd while the last Zetsu placed himself in-between the podium and the doors to the castle, knowing full well they would attempt to use that barrier to protect the Damio. Now all they had to do was await for the arrival of the Damio, and Zetsu could begin. "Yamanaka and medic nin," Pakkun replied to Ino as she introduced herself and spoke about Kakashi a bit. "That's Kakashi for you" Pakkun said after Ino had just complimented his master. "In case things go sour, I should let you know I'm not a fighting hound like the others. Don't expect me to help much" Pakkun informed Ino. Looking over to the guard beside him and the General, Pakkun asked them how they were doing. Even though he was talking, his nose was still at work, sniffing the air. But before either of them could say anything, Kakashi's voice came in through the com. device. Kakashi analyzed the area once more and decided it was time to let the Daimyo out. Placing his finger onto the com. device and turning it on, he began. "Star. Let the Daimyo out, its time we get this thing started." The General, being closest to the doors, walked over and placed his hands onto the nobs. "Look alive everyone, there's no room for screwing up" were Kakashi finals words to everyone as the General opened the doors revealing the Daimyo. Applauds could be heard throughout the entire crowd as the General escorted the Daimyo to his spot on the stage and proceeded back to his own. The Daimyo watched for a moment as the people applauded to his presence. Shortly after, he raised his hands letting the crowd know they could stop, and they did. Closing his fan, the Daimyo cleared his throat before he began. "I have a dream..."
Everything was in place, now all they had to do was wait. All the white Zetsus and black Zetsu patiently waited for their target to come out of hiding. Black Zetsu watched from hiding as Kakashi gave the announcement to let the Damio out. The crowd roared and cheered as the Damio walked out and took his place at the center of the podium. "Its show time." white Zetsu chuckled to himself as the Damio started his speech with some dream he has that will never be realized because today was the day he was going to die. Not waiting for the speech to carry on any longer as Zetsu wanted to have his fun now, all 8 white Zetsu shot their microscopic spores into the air. The cloud of spores created from each Zetsu would spread like a virus through the air surrounding everyone and thing on the ground around them. Also with the help of the wind the spores would be pushed throughout the crowd. It would take quite some time to release enough spores in order to affect everyone in the court yard but that was not their mission, that was just a bonus. Zetsu had purposely position all his clones around the same general area to make sure everyone there inhaled his spores and because there were so many Zetsus releasing their spores at the same time, together they made a fairly wide spread cloud. The chakraless spores would be inhaled by everyone around the podium and with the help of the wind, pushing the spores into the crowd, unaware they would start inhaling the spores as well. So far, so good. Kakashi could see everything clearly from the top of the roof and he couldn't see anything wrong. The guards were all doing their jobs at their posts and scanning the area for anything suspicious. His dogs were still watching the crowd and haven't picked up on anything suspicious yet either. Hearing the speech from his Daimyo, Kakashi knew that he still had a long way to go before the speech was over. Knowing everything was covered from the inside of the castle, he decided to take a look outside of the castle. He knew there were guards posted outside as well, but from where he was he could see more and maybe pick up on something they could not. So he decided to scan the perimeter for a while, always using his nose as well to pick up on anything if he could. In a few minutes, he would do a communications check with all the guards to see how everything was going. But for now, they waited for their Daimyo to finish the speech. The spores had now been released into the air and it was only a matter of time before they activated. Being a time delayed jutsu, Zetsu did not decide when the spores activated but it had been quite some time now that the podium had been breathing in his spores and having used this jutsu before, Zetsu had a general idea of when the spores would activate. However Zetsu wanted to make things a little more exiting. Knowing that there were only a few seconds left before the spores activated, the real Zetsu would communicate telepathically with his clones. "Lets have some fun." Remaining underground as he chuckled, the first Zetsu clone that would come out of the ground would be the one standing infront of the castle door and behind the podium. "You probably should have chosen better guards..... Damio." the Zetsu said as his body was now fully emerged from the ground. This would probably cause the guards to turn around to see who said that, and as they did 8 pairs of arms came out from underneath the podium and grabbed onto the samurais closest to the Damio. Pulling them backwards, all of the Zetsu's would throw them off of the podium and onto the courtyard bellow. As this happened the three Zetsu in between the crowd and the podium came out of the ground all chuckling as they did. Three of the Zetsus that just threw the guards off the podium would come out of the ground surrounding the Damio, making sure the two guards that were not thrown off didnt run after the Damio. As the real Zetsu remained underground, all the other Zetsu were now on the surface. The crowd started roaring and running towards the door in a panic running onto and in the way of the dogs delaying them from approaching the Damio. The other samurai guards positioned around the courtyard would probably make their way towards the Damio. Whether they did or didnt, the three Zetsu's now in between the crowd and the fallen guards yelled out together "Move a muscle and your precious allies die." The spores within their bodies had now activated. White clumps of what looked like playdo started forming on the skin of the 10 guards that stood beside the Damio (8 of which were thrown off the podium) and the Damio himself. These white blobs grew larger and larger eventually growing into each other forming one large mass. The mass then turned into another copy of Zetsu. The white blob that was Zetsu formed around the torso of everyone who was infected, constricting their movements making them unable to use their arms. Forming around their entire upper body and expanding down to their lower body, the spore created Zetsu's would start draining them dry of their chakra. Everything was going smoothly, and for a while, Ino thought this would go with no problems. But things never go perfectly, and they were about to get real hairy real quick. Pakkun could probably smell the emergence of some vegetation behind the Daimyo, but if not, some people in the crowd would notice the White Zetsu coming up, and Ino would realize. The young Yamanaka turned to see the white humanoid thing rising behind the Daimyo. Her blurring hand flew up to touch the com-device in her ear as she spoke, "Star. Tango spotted between the Daimyo and the castle doors..!" Thanks to her early warning, that Zetsu clone would probably be killed before he was fully out of the ground - definitely before he finished talking. Regardless of what would happen next, the entire stage guard would probably still be thrown from their positions. All together they crashed down onto the floor where the pedestrians stood just a moment ago. All of them except for Ino, she landed like a cat. (I have to protect the Daimyo!) was her first thought as her hands flew into a familiar seal - she didn't even notice the white blob growing on her as adrenaline pumped through her veins. (I understand, just be careful and don't get us both killed.) he answered, and by this time time Ino couldn't help but realize the white masses growing on the guards, and the 3 Zetsu clones standing behind everyone that had been thrown from the stage. (What is this...?) she wondered looking down at the white blob, now growing a head. Her hands were lost in the strange puddy, so handseals would be impossible. Her movements would also be slowed, so if she tried to run, the 3 Zetsu's behind her would strike her down for sure. 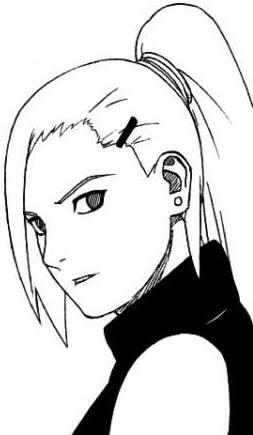 (I hope Kakashi-sempai isn't in the same situation right now...) Ino thought to herself, making sure not to look up at the roof so the Zetsu's wouldn't wonder what she was looking for. Pakkun, as well as the rest of the dogs started to pick up on a sent in the air but couldn't figure out what it was. "Something is happening" Pakkun told Ino, but Ino had already noticed and was on the move. After her messages was given, Kakashi quickly turned his attention to the podium to see who the enemy was. By the time spotted the enemy, who was just a white mass, he was already cut into two pieces by the Samurai General without it even giving a word. Things got worse from there for all the samurai except the two at the ends were thrown off of the stages by something that came from beneath them. At this moment, the two guards at the gate had already opened it so the civilians could exit the premises. The civilians had started going a little wild, but with the help of Kakashi's 7 dogs on the ground, all the civilians exited the castle without and problems. The two guards closed the doors keeping the guards that were outside, outside. In case any enemies decided to attack from the extremities. "What's going on?" Kakashi said to himself when he noticed the white creatures all coming out of the ground and forming onto the guards, as well as the Daimyo. Were they clones, were they each their own individuals, what was happening to the guards and only the guards who were near the Daimyo? Kakashi had many questioned but none that were going to be answered because he had to react quick. There were still 10 guards and his 8 dogs inside the courtyard who were not affected by the strange jutsu, but they were threatened that if they moved, their allies would die. Kakashi noticed with Ino's body laying on the ground that she had already taken care of protecting the Daimyo, and now it was his turned. Kakashi jumped into the air as he reached into his pouch grabbing a hold of three smoke bombs. As he reached the peak in his jump he threw the three bombs at three specific spots. One at the door to the castle, one at the feet of the Daimyo, and one at Ino's position. Out of no where, there would be three simultaneous explosions of smoke engulfing everything around them. As Kakashi descended through the air he gave out a loud whistle. The whistle would probably made everyone paid attention to him but he quickly landed into the smoke bomb thrown at Ino's position. But the whistle wasn't to give his position away, it was for his dogs. With the smoke, Kakashi and his dogs were the only ones that had the advantage because they could smell the position of everyone and everything. Kakashi grabbed Ino's limb body and threw her over his shoulder as Pakkun jumped onto Ino's back. With his other free arm he pulled the guard that Ino had transferred into close to him and formed a single hand seal. A swirl of leaves began spinning blowing the smoke away as Kakashi and the two guards disappeared. Another swirl of leaves formed inside the smoke covering the doors behind the podium also blowing that smoke away also. Pushing the doors open, Kakashi grabbed the guard Ino was now in and tossed him into the castle knowing the white blob around him would take the damage. Kakashi yelled into the castle for the sealing team to seal off the building and the things around the guard. With that, he closed the doors and put Ino down in front of the doors with Pakkun knowing he would need her if they got the white thing off of her. The Zetsu's could not see any of this happen because it all happened inside the smoke. One once Kakashi shunshin'd would they be able to see what was happening. But that would not change anything because the moment Kakashi whistled, his dogs reacted. not being able to see either because of the smoke, they used their noses. There were 7 dogs and 6 Zetsu's. 4 dogs attacked the three Zetsu's on the podium around the "Daimyo" while the remaining three attacked with three on the floor level using their noses to find the Zetsu's. All of these dogs being attack dogs, they easily began ripping pieces off of the white Zetsu's intent on killing them. The guards reacted faster than anticipated and sliced the Zetsu in front of the door within seconds of coming out of the ground. But that clones job had been done, and he got the attention of all the guards allowing the other Zetsu's to throw them off of the platform and onto the courtyard. The courtyard had been emptied leaving only the guards dogs and samurai, but none of them would move in fear that their allies covered in Zetsus would die. Little did they know they too were inhaling the spores and it was only a matter of time before the jutsu activated within them. Black Zetsu still keeping his only eye fixed on Kakashi noticed the Jounin looking around on the ground differently than he had before. Knowing that white Zetsu made his move, Black didnt waste a second making his. Right when Kakashi jumped into the air, a massive vine came out of the rooftop and wrapped around his left ankle, before he could reach the peek of his jump and grab his smoke bombs. Viciously pulling him back onto the roof, Kakashi would violently crash land onto his back only to find more roots emerging from the rooftop wrapping around all of his limbs pinning him. Two more thinner roots would wrap around his neck and mouth as another larger one would wrap around his torso. Pinned like a star fish, black Zetsu would slowly fase out of the roof right beside Kakashi. The vines and roots emerging from the left side of his body, he would say with his scratchy voice "Where do you think your going?" Tightening the roots around his neck, mouth and torso, Zetsu would begin strangling Kakashi like a cobra with his limps stretched apart and pinned down. Once the guard dogs and the other samurai that had not been affected by Zetsu's spore jutsu halted in fear of their allies dying the real Zetsu would emerge. Coming out from beneath the podium, right beside the phony damio, White would giggle as he slowly emerged. "Ladies and gentlemen. We are tonights entertainment." Directing his speech towards the dogs and remaining samurai in the courtyard as those around him were all engulfed in white blobs of Zetsu that already started draining their chakra and were unable to move. Because they did not know what his jutsu did, Zetsu would toy with them a little. "As you fools may see, your beloved Damio's and allies' life are now in my hand." Giggling, Zetsu would tap the man dressed in the Damio's clothing on the head. "Now unless you abide by my rules, I'll kill them all... instantly." Little did they know, they were all slowly dying anyways as their chakra was being sucked right out of them. And even though Zetsu didnt know the real Damio was one of the guards, he would be the first to die as he obviously has a low supply of chakra. All Zetsu had to do was stall and wait, which wont be that long of a wait. "What?" Kakashi said when he felt something grab onto his ankle in mid air. Looking down to see what it was, all he could see was a vine coming out of the rooftop and no one there. With a sudden jerk Kakashi was pulled out of the air back towards the rooftop. With his left hand he grabbed onto his head guard covering his sharingan, and with the momentum of him smashing into the rooftop, he head guard was easily pushed off of his eye onto the top of his head. Before he knew it more vines burst out of the roof and around Kakashi constricting his movements to zero. Once that had happened, a figure much like the white things on the ground emerged from the rooftop beside Kakashi, only this one was black instead. This thing asked Kakashi what was obviously a rhetorical question as the roots got question. When most people talk they look into the eyes of the other person, so Kakashi would take that to his advantage. Opening his left eye Kakashi revealed his sharingan to Zetsu. Whether he had eye contact or not, revealing his sharingan would probably catch Zetsu's attention anyways. 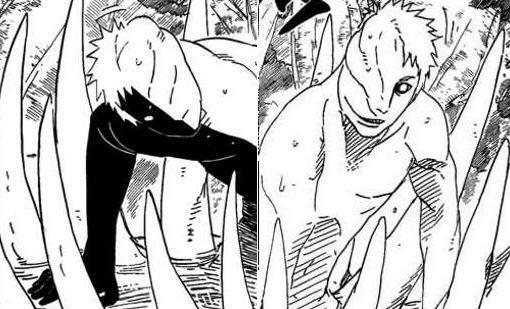 The second there was contact, Zetsu would be placed under a question that made him believe Kakashi was also trying to kill the Daimyo and that he was an ally, but he himself(Zetsu) was a threat to the mission.The point of the genjutsu was to get Zetsu to remove the vines around Kakashi and wrap the vines around himself to stop him from ruining the entire mission. Whether he did or not, once Kakashi was free, with his superior speed he dashed beside Zetsu piercing a kunai he just pulled out right into his head.